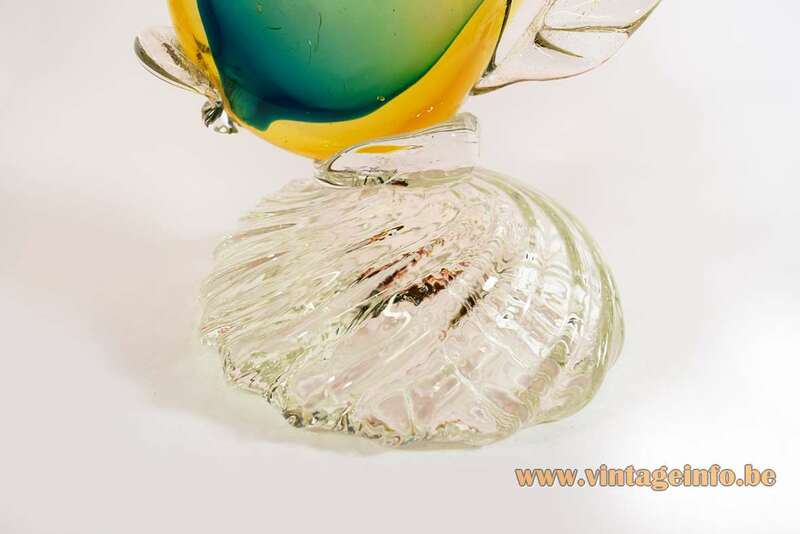 Materials: Crystal yellow, green and translucent Murano glass, Hand blown in the sommerso technique. 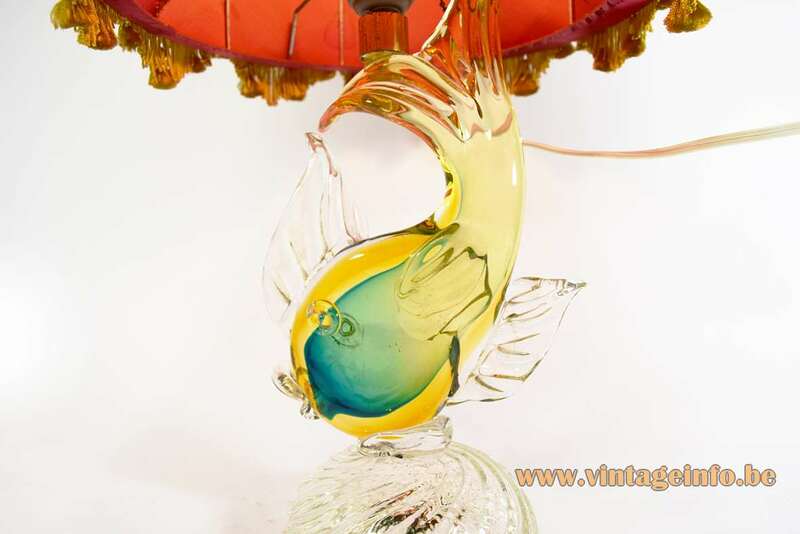 It has gold flakes in the fins. 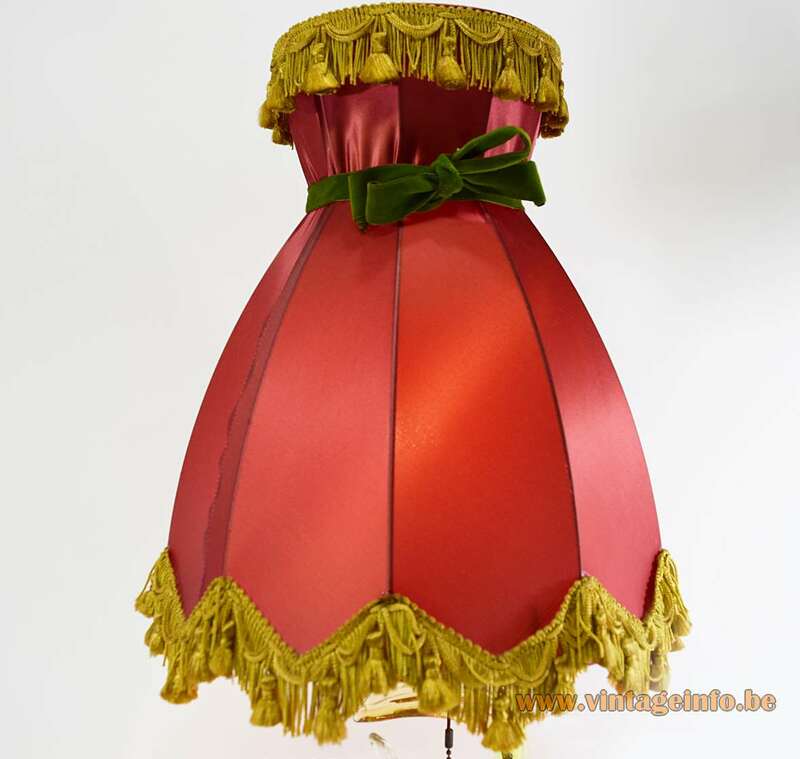 Striking round red fabric lampshade with gold coloured decoration and a black ribbon bow. Brass socket with a porcelain ring. 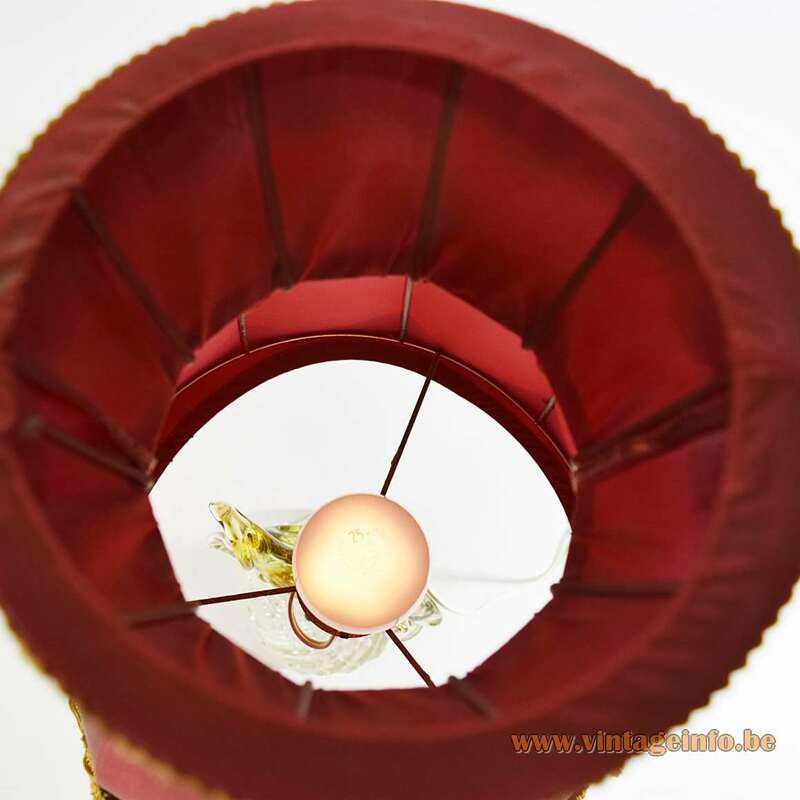 Electricity: 1 bulb E27, 1 x 75 watt maximum, 110/220 volt. 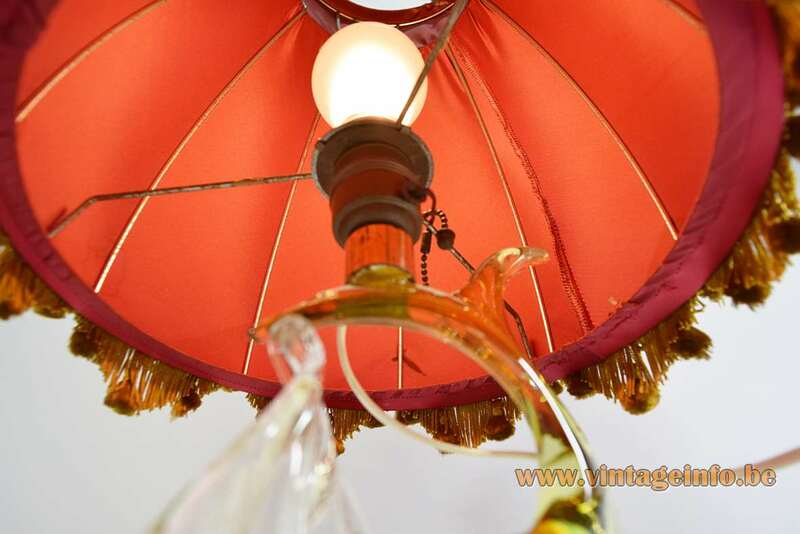 Any type of lamp can be used, not a specific one preferred. The switch is in the socket. 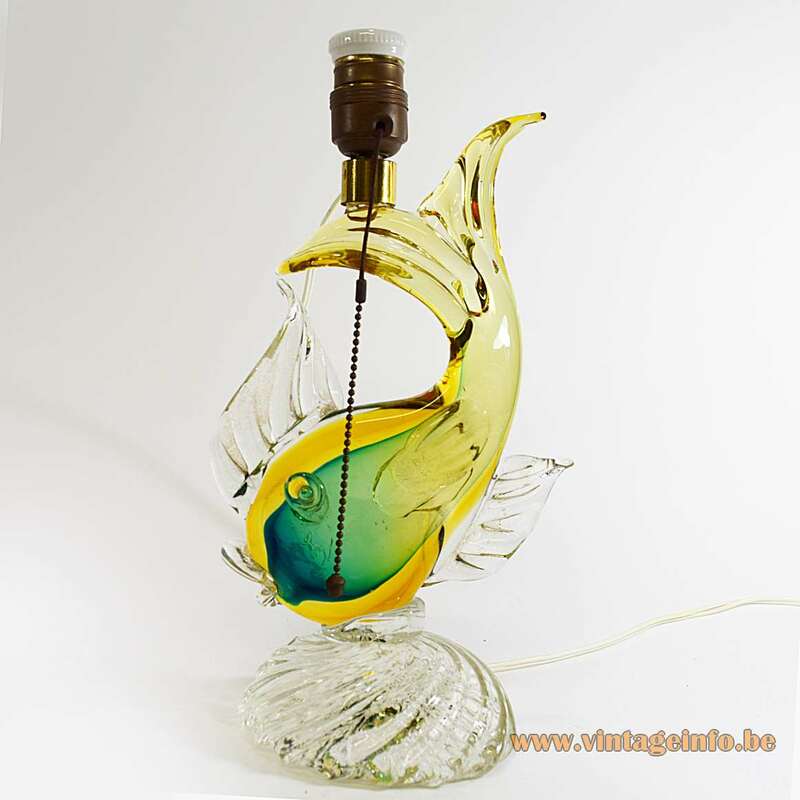 Period: 1950s, 1960s – Kitsch. 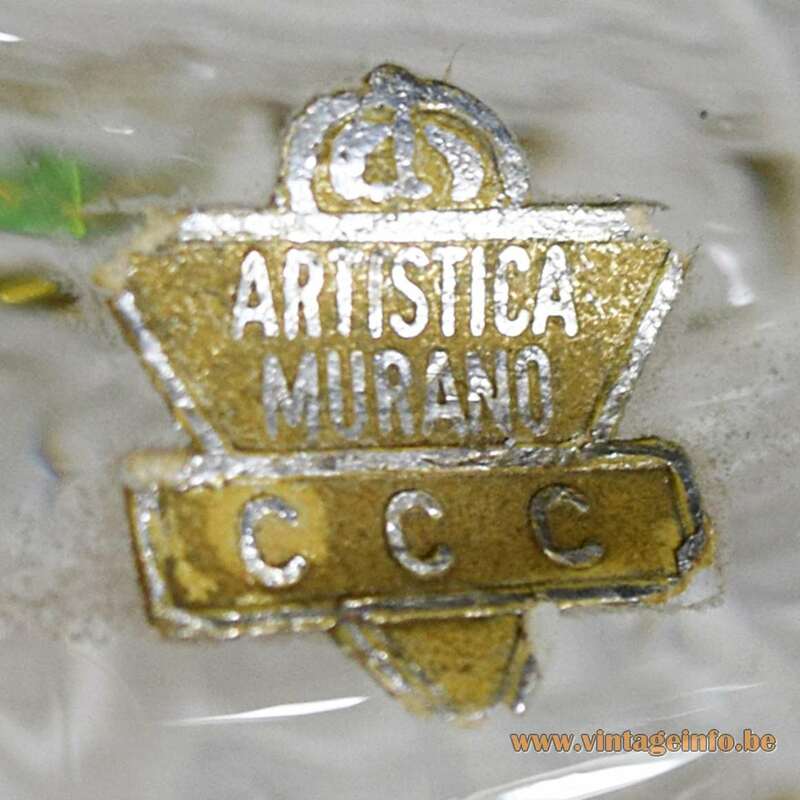 Manufacturer: Artistica Murano CCC, Murano, Italy. 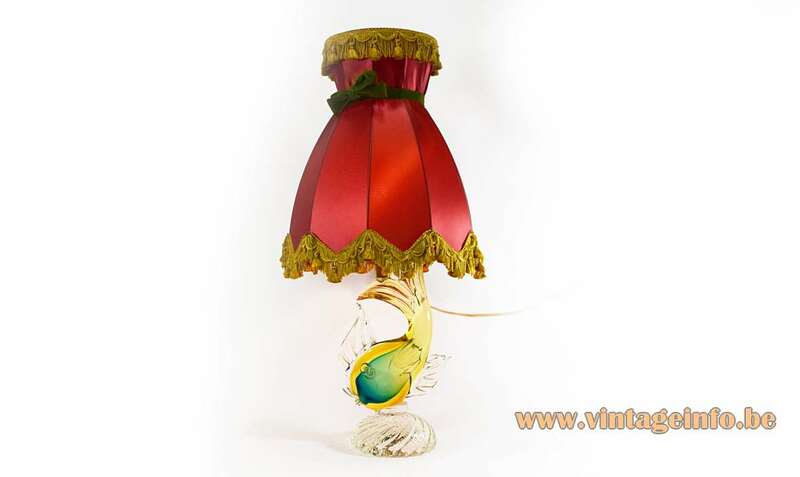 Other versions: Made in several colours, probably also with different lampshades. 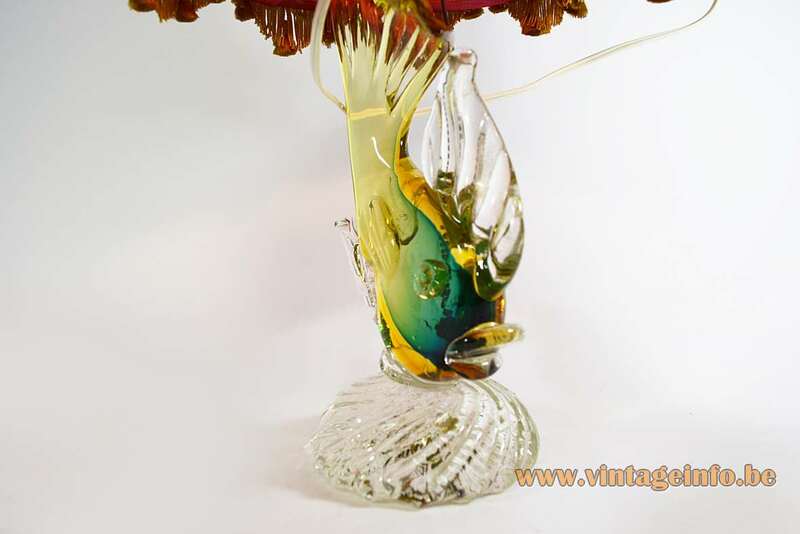 Artistica Murano CCC made this lamp, the company no longer exists. Nothing to be found about it, except for some other old glass pieces. 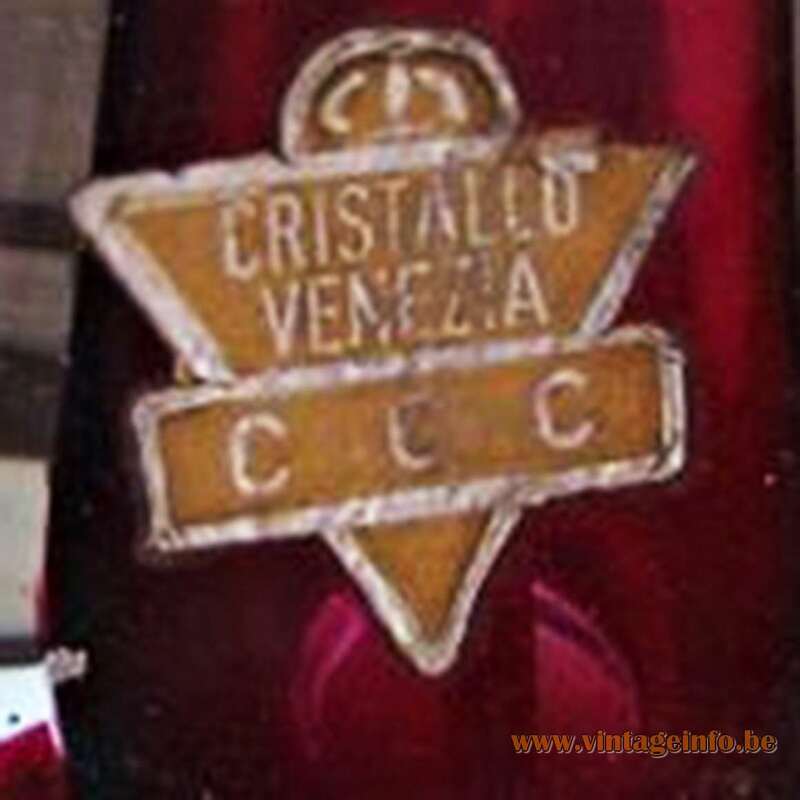 At some point the name was Cristallo Venezia CCC. 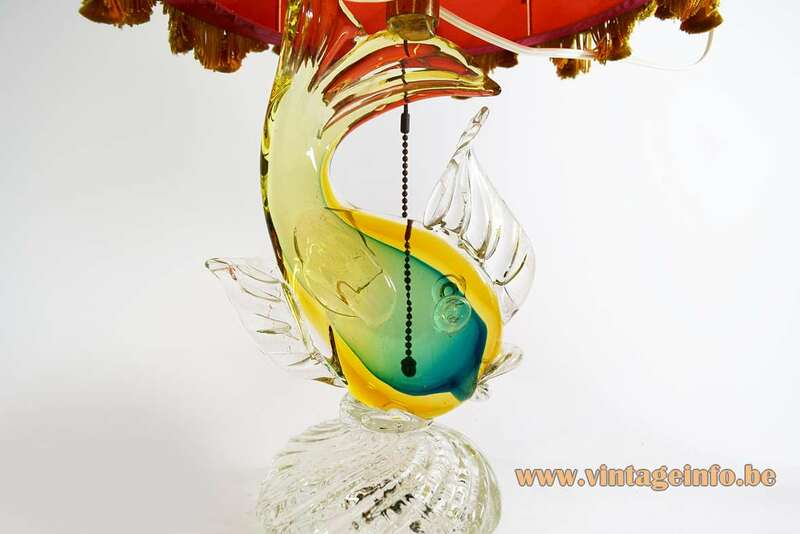 This fish lamp is hand blown in the sommerso technique which became popular in the 50’s thanks to Flavio Poli who designed glass objects for Seguso Vetri d’Arte with delightful selections of colours, proficiently assisted by the hand of the master glassblower Angelo Seguso. 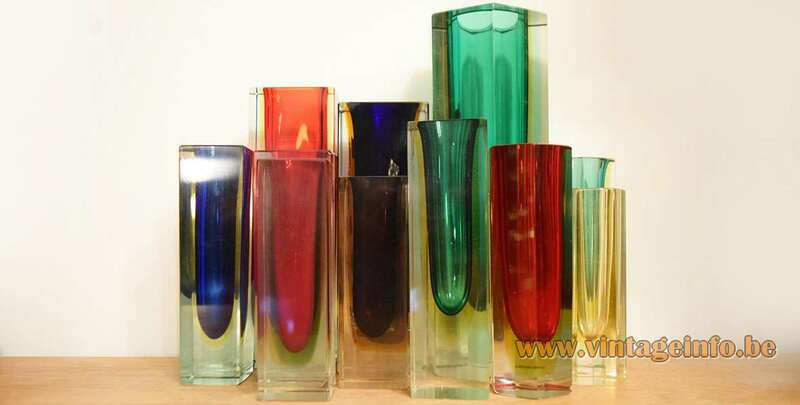 The first sommerso items were those designed by Carlo Scarpa for Venini & Co. in the 1930’s.